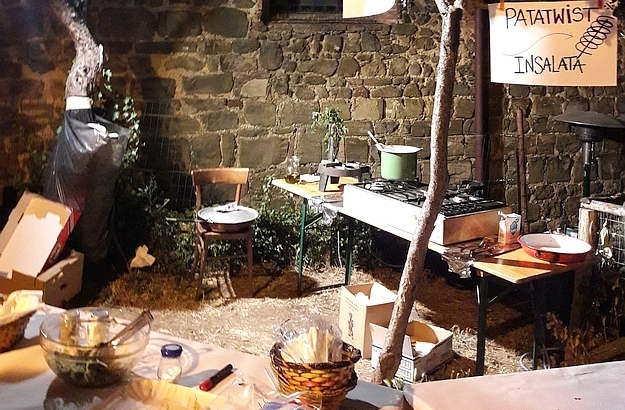 The setup of a typical sagra is always more or less unpretentious. 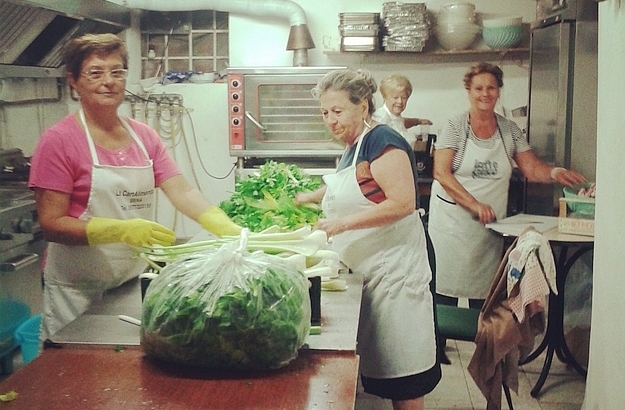 For the impending Buonconvento sagra, everybody is happy to lend a hand. Improvised outdoor cooking is the backbone of any successful sagra. The biscotti salati: a specialty of the Cinigiano wine harvest festival. 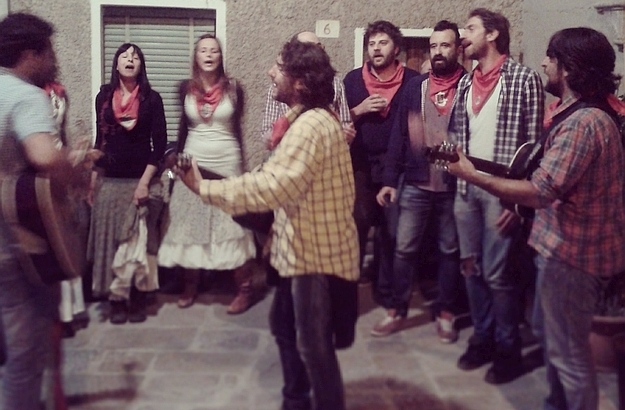 A sagra is not a sagra if no music is played and sung along! In Italy, a sagra is a local festival which most often involves food one way or the other, and sometimes a sporting event or historical pageant as well. Do you remember the yearly artichoke festival in Chiusure near Siena, which I told you about some time ago in a blog post? This is a perfect example of a typical sagra. 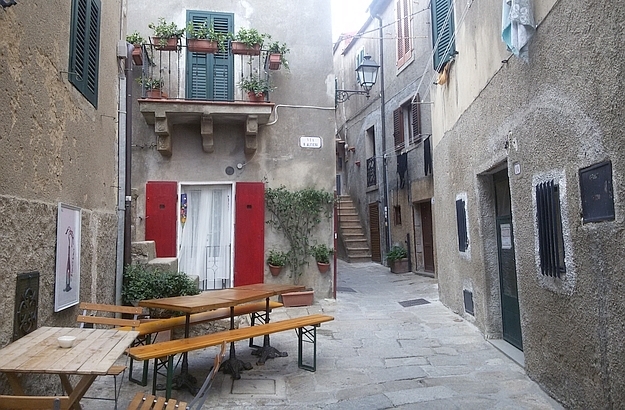 There probably are, in the bel paese, as many sagre as there are towns and villages. The festal season usually starts in the spring with the artichoke and blooming almond tree celebrations, and ends in autumn with untold merrymaking around the chestnut, truffle, porcini mushroom and olive oil. 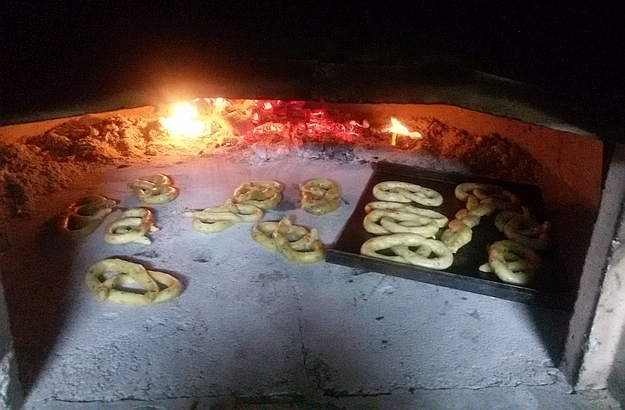 The menu of a typical sagra generally focuses on seasonal vegetables and local specialties; and dinner is eaten out on the town square or along village roads. The setup is usually unpretentious: wooden benches and tables, disposable plates and cups, and everybody mingles with everybody in a relaxed and friendly atmosphere. 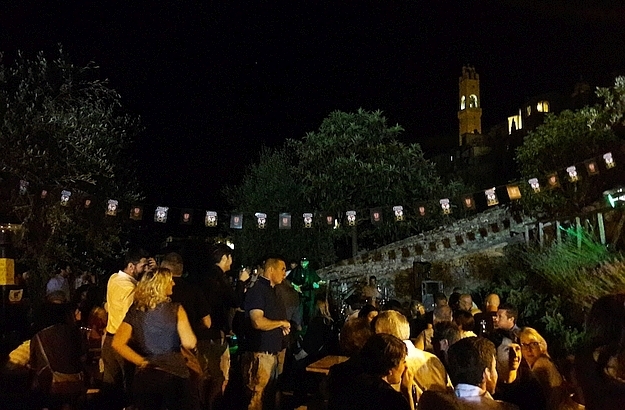 Thanks to our daughter’s keen eye, we have enjoyed some of the jolliest sagra nights under the Mediterranean stars, eating and drinking, of course, but also laughing, dancing, listening to great live music and rubbing shoulders with the friendliest locals and travellers.